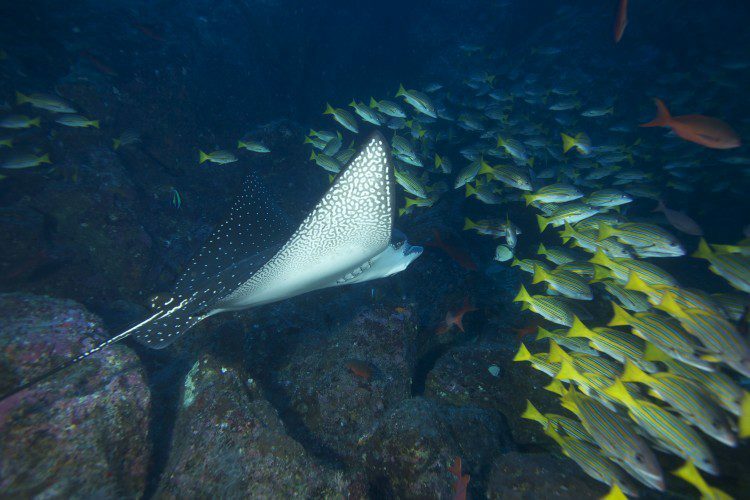 Cocos Island National Park is a Costa Rican biodiversity treasure that lies 350 miles off the coast and along the same subterranean mountain ridge as Galapagos Island in the Eastern Tropical Pacific Ocean. 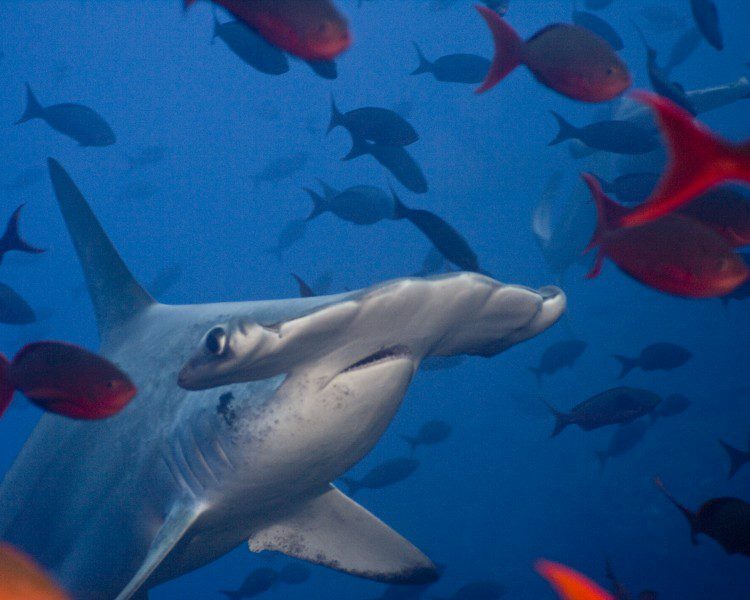 This ridge provides an ecosystem supporting an abundant and broad range of animals that include hammerhead sharks, green and leatherback sea turtles, and silky sharks. This abundance is sheltered within the confines of marine protected areas around the islands, but these animals and the tuna and other fish they depend on are fished legally and illegally as they migrate between the two protected areas. TIRN and a group of other advocates are pushing for a protected swimway that covers the full 400-mile distance between the two locations, although such an effort will require greater enforcement to impact biodiversity. Leatherback sea turtles are particularly vulnerable, as they have been on the Endangered Species List since 2000. 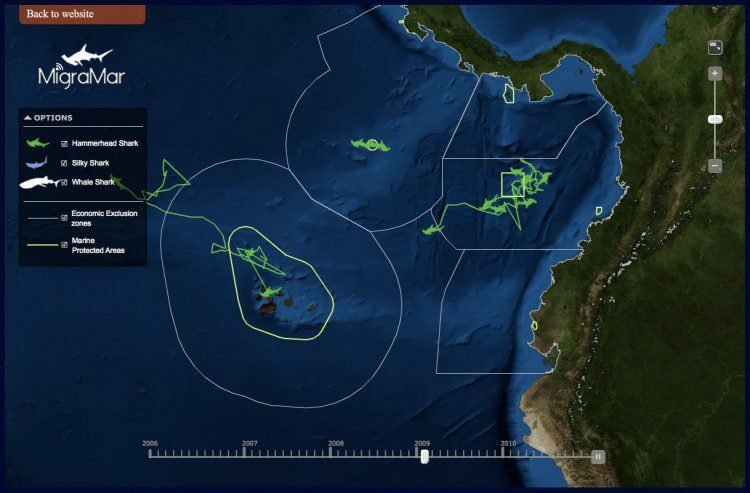 Although this designation comes with increased protection, their wide range requires a broad agreement among many nations as well as greater restrictions of commercial fishing practices in large areas to have an impact. The turtles often are victims of accidental bycatch with nets or longlines or from illegal fishing, as they aren’t difficult to catch given their slow pace and need to resurface to breathe. The adults have few predators when they reach their potential size of nine feet and 2,000 pounds, but hatchlings are very vulnerable. Their reproductive cycle involves hatching thousands of eggs to get two or three adults, and that only works to sustain the species if the adults survive. Increasingly, the adults are being killed by fishing practices. TIRN scientists are frustrated by the level of illegal fishing at Cocos Island. They witness encroachment within the protected area, including evidence on radar screens of boats crossing the protection line without permission as well as fishing gear (including illegal fish-aggregation devices) that washes up onshore. The goal is to document the individuals and their activity, because Costa Rican law dictates that you have to catch them in the act of fishing. If you just catch boats in the reserve, they have broken the law to be inside without permission, but if you can’t document them fishing (with gear and fish attached to the line and boat), then you can’t convict them of the more-serious offense that would stop their operation. 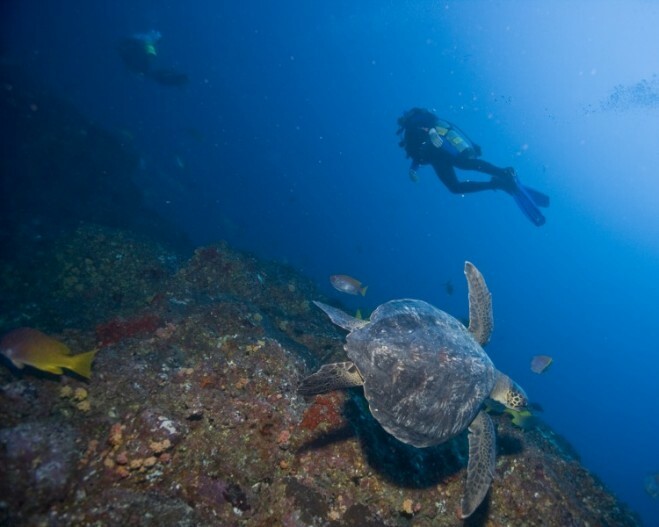 With a 12-mile buffer around Cocos Islands, the total protected area is more than 800 square miles. Given the remoteness and size of the patrol area, it’s difficult to catch fishermen in the act. If approached by another boat, they can see it on their radar and simply move outside the boundary as it approaches. 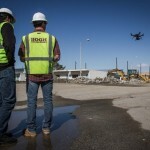 TIRN turned to the Dalio Foundation and Precision Integrated Programs, which fly unmanned aircraft system (UAS) missions to monitor such illegal activities from the air. The idea for this proof-of-concept mission fits in nicely with UAS company Aerovel’s plans to prototype its aircraft and fly commercial missions. 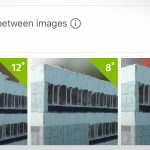 The imaging sensors for Aerovel’s Flexrotor include two interchangeable lightweight, stabilized cameras with one electro-optical sensor for daylight viewing and a long-wave infrared camera to see at night. The Flexrotor is a unique vertical takeoff-and-landing (VTOL) aircraft that sits on a tail that splits open to create a four-leg platform. Two small propellers at the tips of the nearly 10-foot-long wings propel the aircraft vertically. The tail closes as it’s lifted, and then it flips over with a six-foot-long, two-blade rotor propelling its wingborne flight. 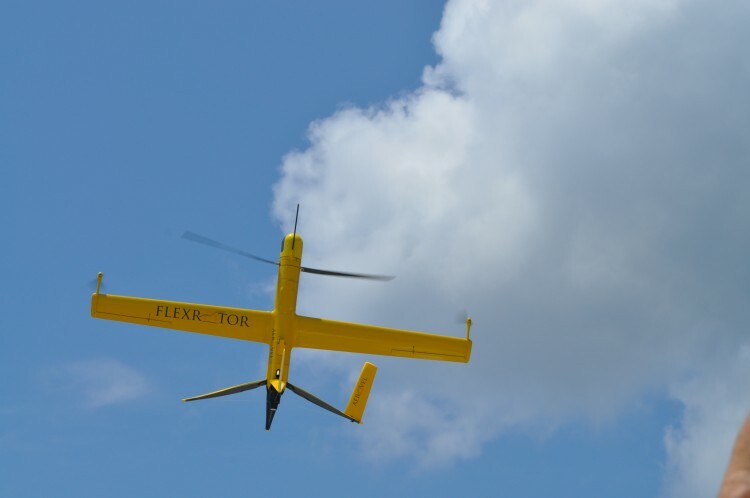 The goal for the Flexrotor is a high-efficiency 40-hour flight, but its current iteration is capable of a 10-hour flight. Aerovel was founded by a seasoned UAS design team that helped engineer the ScanEagle and Aerosonde for Insitu, a company purchased by Boeing in 2008. ScanEagle was used extensively for military missions in the Middle East, and the new company was started to focus on commercial applications. 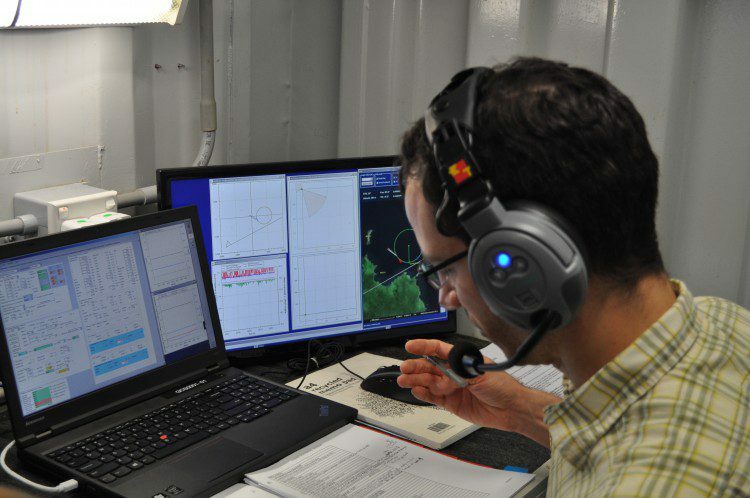 They chose a marine platform to take advantage of many high-value opportunities such as tuna hunting, environmental monitoring, spotting icebergs for cruise ships and more. The company also benefitted from military interest, as the Office of Naval Research awarded it a contract to develop the technology. The one-week proof-of-concept operation took place in May 2015 aboard the expedition yacht Umbra, owned and operated by the Dalio Foundation, whose mission is to curb illegal fishing. 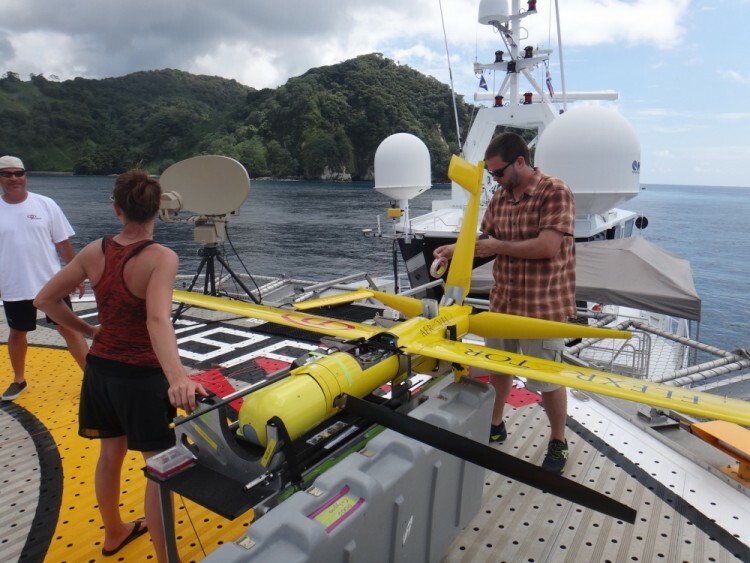 There were questions of whether a UAS would work in the hot tropical conditions on an island that gets 23 feet of rain per year, or whether a UAS would be able to capture the data necessary to take legal action in court against these illegal fishers. The mission also was an opportunity to push and test the Flexrotor aircraft, and it achieved its longest-range flight, flying day and night, taking off and landing from a moving ocean platform, and coordinating and responding to information from a ship’s radar to target potential violators. The mission also proved itself to the enforcement agency, the Costa Rican Park Service, which had some skeptics at first. Although this mission was just a trial, the imagery and results are being processed and presented. Agreements are being worked out with the government to allow the equipment within its airspace. The team also is working to see how the data should be delivered, so they can be used to enforce protection. There are many advantages for this approach, including increased safety with no pilots at risk as well as the ability for persistent surveillance with multiple flights around the clock. The system also benefits from automation, with a set automated takeoff and landing sequence and flight automation. This ease of use, flexibility to land in precise points on a moving platform and efficient long-duration flight make it an interesting platform for a wide range of missions. There’s growing interest from a number of customers eager to see prototype flights for their own varying use cases. 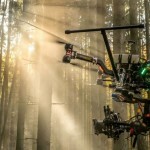 Just a handful of Flexrotors are planned for production in 2015, with continual iterations to ramp to dozens in 2016, and then perhaps hundreds the following year. Matt Ball is editorial director of V1 Media; e-mail: mball at v1-media.com. 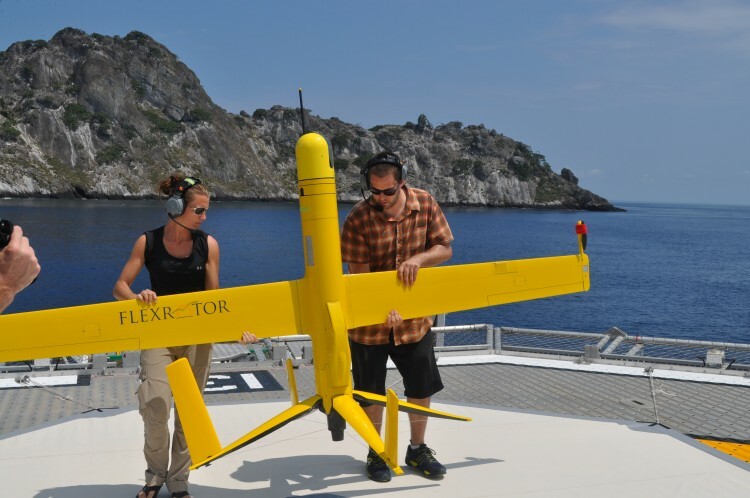 In addition to deploying the Flexrotor UAS to deter fishing, the area also is being sensed and monitored underwater. MigraMar is a network of marine research and conservation institutions using acoustic devices to tag sharks and turtles. The network includes the Galapagos, Cocos Island, Coiba National Park off of Panama, Maplelo and Gorgona national parks off of Colombia, and Machalila National Park off of Ecuador. Working together, and all using the same acoustic equipment, they each monitor receivers and share data about animal movement. Tagged sharks and turtles are recorded on receivers when they enter or exit an area, and those data are shared for a better understanding of their movement. Gaining a better understanding of the eastern tropical Pacific allow humans to properly conserve and manage the populations of these highly migratory species that are in decline. Balancing the threats of illegal actions with monitoring and transparency is aimed at returning the health to these ecosystems for increased numbers outside the protected areas. The hope is to improve economic vitality and sustainability, while reducing the conflict between man and these protected marine environments.